To provide an international forum for the field of recombinant antibodies, antibody engineering and related areas (“the field”). To facilitate the discussion and interchange of ideas regarding issues of fundamental importance for basic research, therapeutic development and clinical testing in the field. To publish or otherwise disseminate information on issues and developments in the field. To provide guidance, including safety guidelines for basic and applied research, as well as development and commercialization in the field. To maintain, improve and/or integrate informatics and computational resources devoted to the field, important for its future development. To assist the training and advancement of students, postdoctoral fellows and other new members in the field, in part through sponsorship of international scientific meetings. Note: The mission of The Antibody Society is summarized in the Articles of Organization from its incorporation in Massachusetts on 22 February 2007. The Antibody Society is a 501(c)(6) non-profit organization, as designated by the US Internal Revenue Service. The AIRR Community’s work developing standards for next-generation sequencing data will be the subject of a workshop to be held in May 2019 in Genoa, Italy. Information about the meeting can be found here. In 2019, the Society will organize the scientific sessions of Antibody Engineering & Therapeutics Europe, Antibody Engineering &Therapeutics US, and a FOCIS Symposium. Dr. James Huston will act as editor of the Society’s special issue of Protein Engineering, Design and Selection, and the Society will publish ‘Antibodies to watch in 2020’, a review of antibody therapeutics in late-stage clinical study and regulatory review as of late 2019. As part of our continuing antibody therapeutics development metrics initiative, datasets will be analyzed and results disseminated via our website and presentations. Excel files of up-to-date information on approved and in-development antibodies can be downloaded from the Members Only area. In 2019, the Society will fund numerous antibody-related meetings across North America and Europe. For more information, see Society-Funded Meetings. 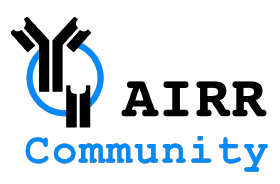 AIRR Community Initiative: The AIRR Community committee of the Society continued to develop their recommendations for: 1) a common repository for AIRR sequence data, 2) standards for publishing and depositing AIRR sequence data, and 3) resources and guidelines for the evaluation of molecular and statistical methods for AIRR sequence data. For more information, see ‘The AIRR Community’ and explore items in the dropdown menu under the AIRR Community tab in the main menu. Antibody therapeutics development metrics initiative: Datasets generated were analyzed and results disseminated via our website and presentations. Our analyses indicate that antibody therapeutics have approval success rates that substantially exceed those of small molecule therapeutics (~20-25% vs ~10%, respectively, with variation depending on factors such as therapeutic area). Success rates were included in the ‘Antibodies to watch in 2019’ article published in mAbs. Members may download relevant presentations in the Members Only area. Publications: In 2018, Dr. James Huston acted as editor of the Society’s special issue of Protein Engineering, Design and Selection, and the Society’s ‘Antibodies to watch in 2019’, a review of antibody therapeutics in late-stage clinical study and regulatory review (as of November 30, 2018) that includes approval success rates derived from our antibody therapeutics development metrics initiative, was published online in December 2018. Society Meetings: In 2018, TAbS organized Antibody Engineering and Therapeutics US, Antibody Engineering and Therapeutics Europe, and a FOCIS Symposium. Supporting Partners’ Meetings: In 2018, TAbS funded meetings across North America and Europe. For more information, see Society-Funded Meetings. Antibody datasets: TAbS provided up-to-date information on approved and in-development antibodies to its members. Excel files of the data can be downloaded from the Members Only area. In addition, Prof. Andreas Plückthun, a member of The Antibody Society’s Board of Directors, was appointed biological and publications advisor to WHO’s INN Expert Group. Prof. Plückthun will represent the Society in antibody naming discussions with the Expert Group. For more information, see ‘INN issue updates’. Engaged in substantive discussions with WHO’s International Non-proprietary Names (INN) Expert Group regarding the definitions used to assign INN. Incorporated the Adaptive Immune Receptor Repertoire (AIRR) Community as a committee of the Society. Initiated a study of antibody therapeutics development metrics.